This book is intended to give practical advice to anyone embarking upon a career involving advocacy or public speaking. 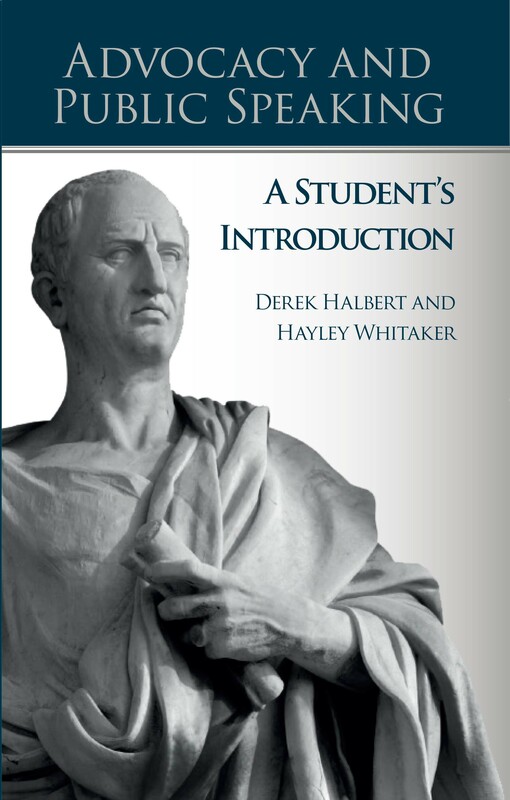 Its authors are Derek Halbert and Hayley Whitaker from the University of Chester Law School. Derek spent 24 years as a member of the bar in chambers in Chester and then more than 20 years as a Circuit Judge until his retirement in September 2015. In October 2015 he was appointed an Honorary Senior Lecturer in Law and it is estimated that during his 44 years as a member of the legal profession, he made or listened to approximately 56,000 speeches. Hayley is also a member of the bar of England and Wales and a Lecturer in Law. She is the tutor with responsibility for Advocacy and Public Speaking and so has considerable expertise in the needs of students in this area. Derek Halbert and Hayley Whitaker (Editors), Advocacy and Public Speaking: A Student's Guide, ISBN 978-1-908258-27-4, £12.99. The e-book (ISBN 978-1-908258-46-5) is currently available through Google Play, ebrary, EBL, EBSCO, Ebook Central, Gardners and Dawsonera.